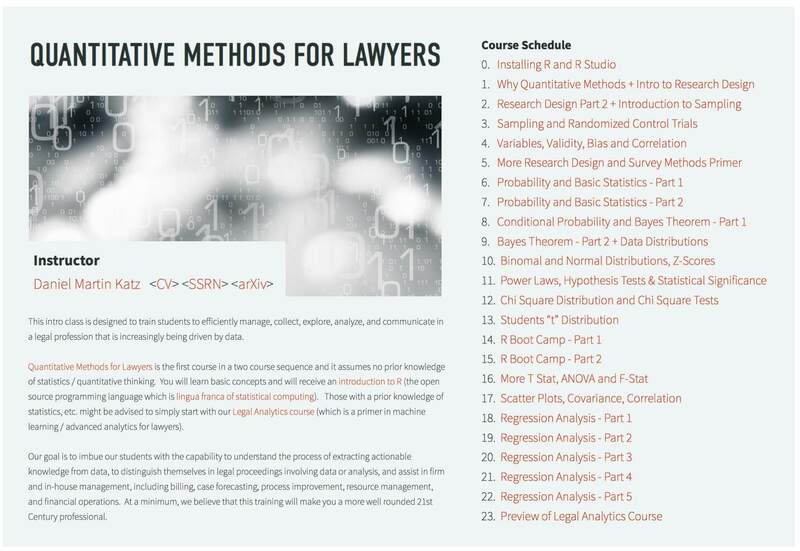 Quantitative Methods for Lawyers is the first course in a two course sequence and it assumes no prior knowledge of statistics / quantitative thinking. You will learn basic concepts and will receive an introduction to R (the open source programming language which is lingua franca of statistical computing). Those with a prior knowledge of statistics, etc. might be advised to simply start with our Legal Analytics course (which is a primer in machine learning / advanced analytics for lawyers that I teach with Michael Bommarito).